If you are looking for a dental office that provides full or partial dentures, you have come to the right place. 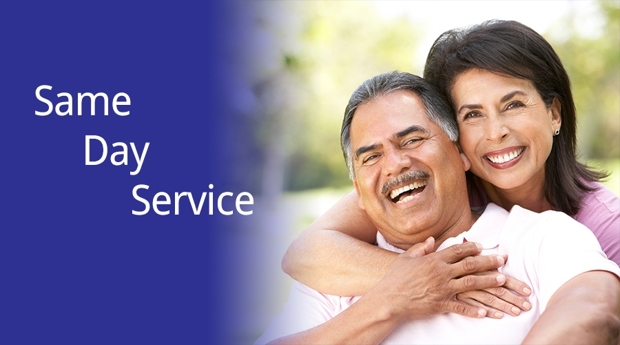 The dentists at Dentures & Dental ServicesÂ® are Southeast Missouri's premier dental office that offers the best quality in dental care, at the most affordable rate. We have been delighting our patients for over 28 years by delivering accessible, caring, quality dental care at rates a fraction of the cost of most dental providers. Please contact us today at (636) 321-7389 to make an appointment! *Implantology is a specialty area not recognized by the ADA that requires no specific educational training to advertise this service. Make An Appointment Today. Call Now! Copyright © 2018 ddsarnoldmo.com All rights reserved.